I've picked THREE used K-Cups from the trash so far today. I just don't get it. I also don't understand why the weekly rate at daycare is going up in a few weeks. Apparently there's an annual increase. How charming. But seriously, for the amount we pay, why can't they provide a more filling (and interesting) afternoon snack than Cheerios (or what are most certainly generic Os). Happy Friday, here's your rate increase! 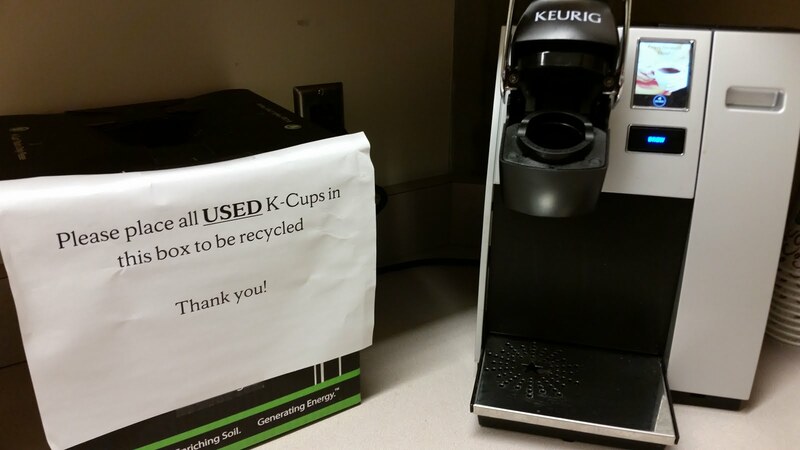 Happy Friday, have fun picking through the trash because your self-absorbed co-workers can't be bothered to follow directions!